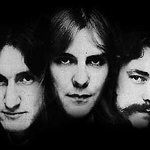 Escrow.com, the pioneer of online escrow services, is pleased to announce that they will be selling an autographed bass guitar signed by all three members of the band Rush. All of the funds from the sale of the autographed guitar will benefit The Fender Music Foundation, a national music charity. The black Fender Geddy Lee Jazz Bass is listed for sale on Reverb.com through January 28, 2013, and will be on display at the Fender Music Foundation table within the private NAMM Show in Anaheim. Once the bass is sold, Escrow.com will waive all fees to the winner and the Foundation as the funds are paid through Escrow.com’s escrow system. To purchase or make an offer on the Rush autographed bass, click here.